What better way to celebrate Easter than with a fun Easter egg hunt? Follow these 5 steps to plan and carry out an exciting Easter tradition. 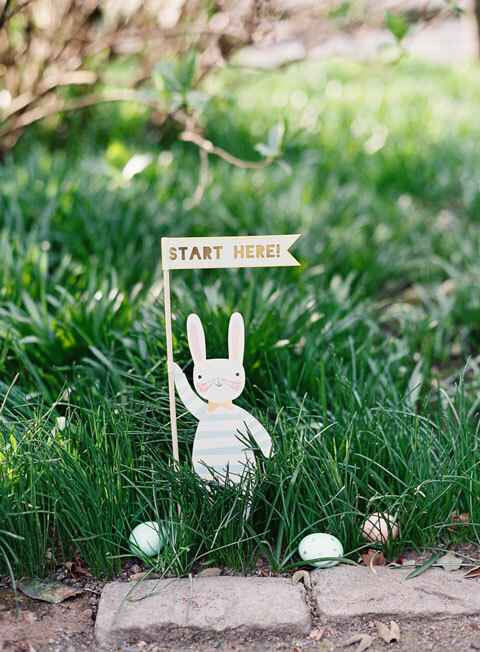 Start your epic Easter adventure here…and then check out some other beautiful Easter entertaining ideas at Land of Nod’s Blog. You can hide either plastic, real or chocolate eggs for your hunt, just make sure you get the supplies far enough in advance (so get planning now). 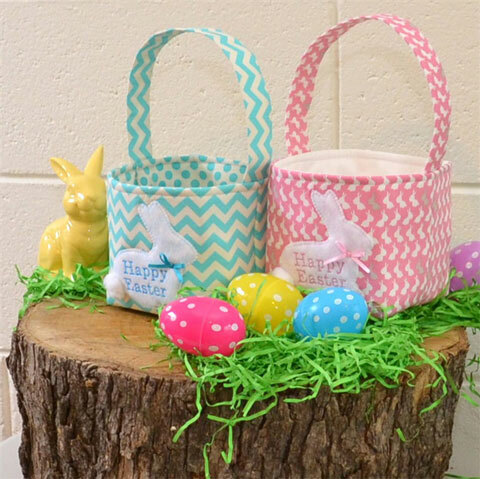 If you are decorating and hiding real eggs, an idea is to get a few small little prizes to hand out to the kids at the end. You can fill plastic eggs with anything you like; small toys, lollies, temporary tattoos, or stickers. Or you can pop a number in there that will correspond to a prize that won’t fit into the egg; maybe a chocolate bunny, a book, or even clothing. Plastic eggs are a great way to make kids that aren’t able to have chocolate feel included. Estimate about a dozen eggs per guest so everyone has a chance to find and collect a good amount of eggs. These can also be put into the pot later and divided up between all the guests. To really get into the spirt you might like to decorate your home or even the area (most people love the backyard) in which the hunt will take place. 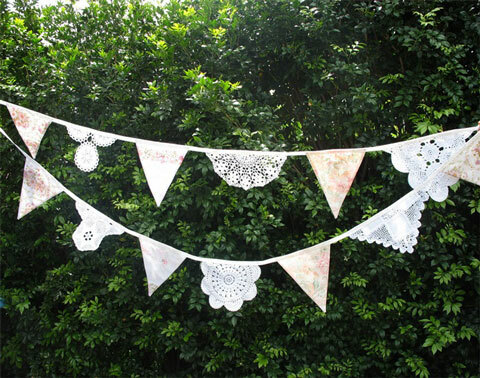 Some simple ideas for decoration are bunting in the trees, or some balloons. If you are inviting other friends and family over then it’s a great idea to also have something special out front to really set the scene. If you have younger and older kids getting involved in the hunt and idea is to divide the backyard up into zones. This will allow you to hide the eggs based on the age-groups of the hunters. For the little kids you can leave eggs on low branches and in open places. Get done on your knees to see what they see. This will allow you to see if things are too high or just can’t be seen from their level. For the older kids, make it a little more challenging. Hide eggs in hard-to-find spots like under leaves, in drain pipes, in the mailbox, or on top of the car tires. The older kids will probably work as a team so they will really enjoy the trickier spots. The hunt doesn't end until the last egg is found, so keep a count of how many eggs you hide! It’s also a good idea to record where you put them too. You can even turn this boring administrative task into part of the hunt by creating a checklist of eggs for each child to find, or for older kids, make it more challenging by writing riddles or clues to help them find the hidden loot. Although, it’s worth noting that even with checklists, there will likely be some casualties (of the humpty variety), especially if you are hiding them under leaves! 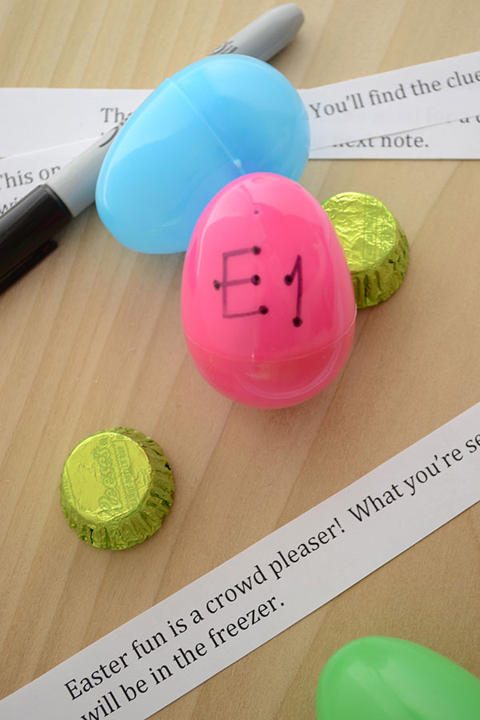 Put clues inside plastic eggs to lead the kids on a scavenger hunt like this one from storypiece.net. Do you have a family tradition? 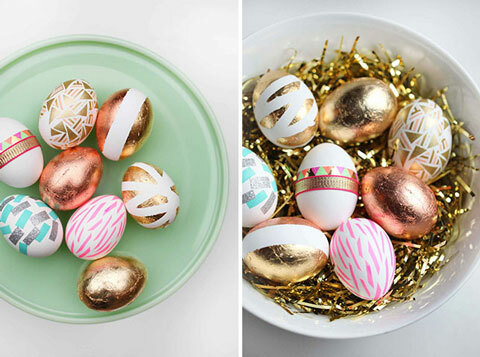 How do you create Easter magic at your house? Creative coach, pixel perfectionist and handmade obsessed.